World Hepatitis Day, observed on July 28 every year, aims to raise global awareness of hepatitis. A group of infectious diseases known as Hepatitis A, B, C, D, and E and encourage prevention, diagnosis and treatment. Hepatitis affects hundreds of millions of people worldwide, causing acute and chronic disease and killing close to 1.4 million people every year. World Hepatitis Day is one of eight official global public health campaigns marked by the World Health Organization (WHO), along with World Health Day, World Blood Donor Day, World Immunization Week, World Tuberculosis Day, World No Tobacco Day, World Malaria Day and World AIDS Day. Hepatitis B is spread when blood or other body fluids from an infected person enters the body of another person. A pregnant woman who has hepatitis B can pass the virus to her infant at birth without timely intervention. In fact, 90% of infected infants develop a lifelong infection, and an estimated one-fourth of them will die prematurely. To address this public health concern, all pregnant women in the United States and many other countries are now routinely screened for hepatitis B. If a pregnant woman has hepatitis B, health care providers take extra effort to make sure her newborn gets timely vaccination to prevent this deadly disease. Completing the vaccine series can prevent transmission of the virus in over 90% of infants born to infected women. To protect every infant from potential infection, CDC recommends all babies get the first shot in the hepatitis B vaccine series before leaving the hospital, and completing the vaccine series as recommended. Hepatitis groups, patients and advocates worldwide take part in events on 28 July to mark the occasion. Notably in 2012, a Guinness World Record was created when 12,588 people from 20 countries did the Three Wise Monkeys actions on World Hepatitis Day to signify the willful ignorance of the disease. With better awareness and understanding of how we can prevent hepatitis we can eliminate this disease and save 4,000 lives a day. The inaugural International Hepatitis C Awareness day, coordinated by various European and Middle Eastern Patient Groups, took place on October 1, 2004, However many patient groups continued to mark ‘hepatitis day’ on disparate dates. 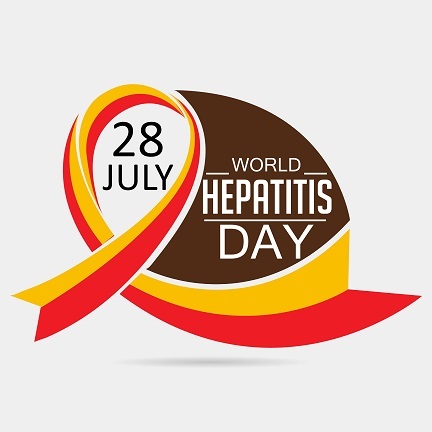 For this reason in 2008, the World Hepatitis Alliance in collaboration with patient groups declared May 19 the first global World Hepatitis Day. World Hepatitis Day is now recognized in over 100 countries each year through events such as free screenings, poster campaigns, demonstrations, concerts, talk shows, flash mobs and vaccination drives, amongst many others. Each year a report is published by the WHO and the World Hepatitis Alliance detailing all the events across the world.